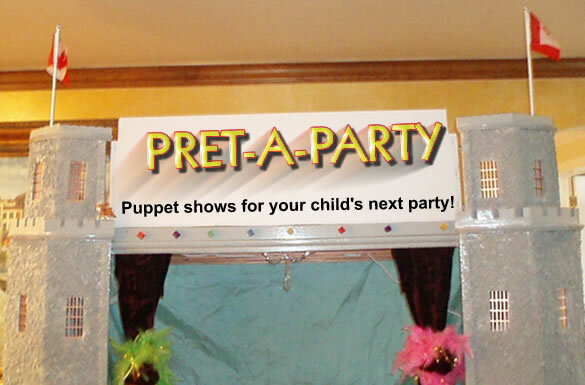 We are pleased to annouce yet another great line of shows for your next children's party - The Puppet Show! Choose between many popular Disney storylines, such as Little Mermaid, Beauty & the Beast, Lion King and Aladdin, as well as the kids' standard...Sesame Street. An elaborate stage set-up is installed in your home, office, party centre or even back yard. Space is not even a major concern; usually, a corner of the room with accessible wall outlets will suffice, with enough room in front of our stage for your children to be seated. 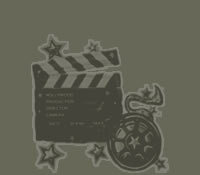 There are special effect lights, smoke machines and even bubble machines that go in accordance to the storyline that you choose which captivates the children's imaginations and makes them feel like they are watching a live rendition of their favorite movie. 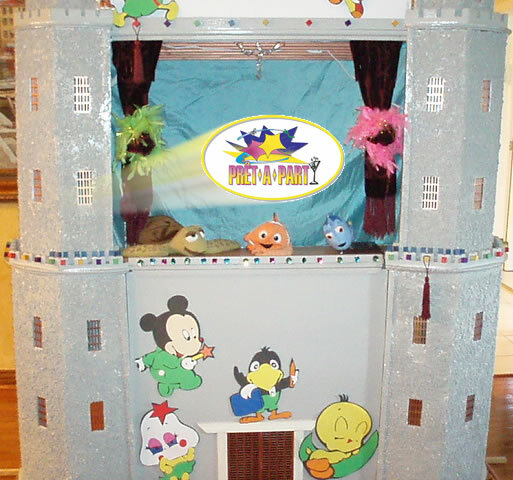 With the soundtrack to match the storyline, our Puppet Shows are choreographed in a way that your child will feel they are IN the movie - no voice impersonations here...you will hear the actual voices and music from the movie!! What better way to deliver a form of entertainment for your children than to offer them something they can relate to, that will keep them at the edge of their seats for an hour? 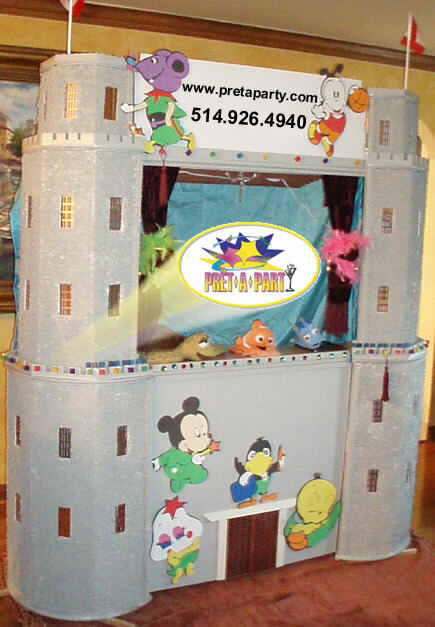 Call our offices today and learn all about the many ways our Puppet Shows can enhance your next party. 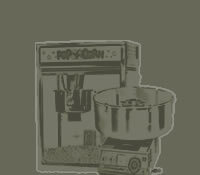 We can also offer you a mascot to present the cake to your child after the show, for a nominal fee. Have any questions? 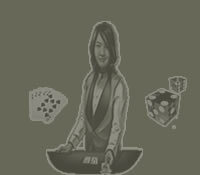 Feel free to call or e-mail us at your convenience.